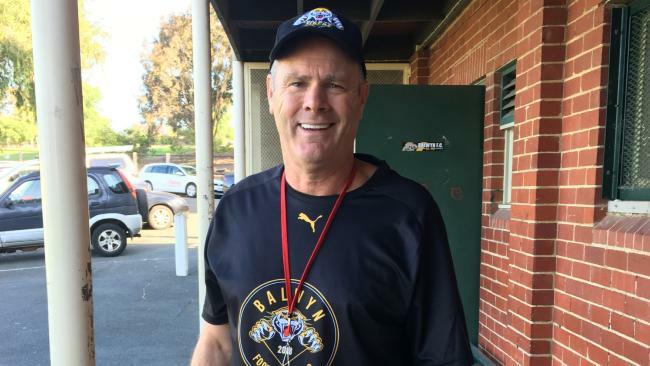 Rodney Eade at a Balwyn training session in the Eastern Football League (EFL). BALWYN will be without two of its marquee recruits for the season after former AFL players Daniel Gorringe and Henry Schade walked out on the club. The former Gold Coast teammates have not trained at the Eastern Football League powerhouse since Rodney Eade replaced Marty Pask as coach. 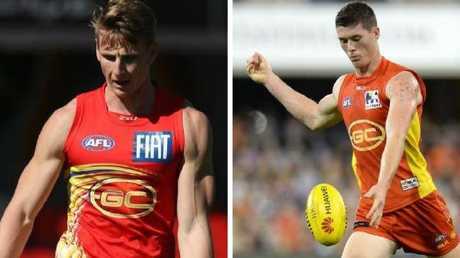 Gorringe and Schade were delisted from the Suns while Eade was coach of the expansion club. Football manager Paul Johnson said the pair had left as a result of the shock change of coach, which was announced on January 19. Both Gorringe and Schade's clearances to Balwyn are listed on the EFL transfers sheet as 'pending' but Johnson said they were under contract. "They're required players, the club hasn't got replacements for them so those conversations will need to continue between the coach, president and myself," Johnson said. "It leaves us in a very bad spot simply because all the good players (recruits) are gone and all of a sudden now we haven't got a No.1 ruckman and where we wanted three tall backmen, now we've only got two. "That is the reason we expect them to honour their contracts." Johnson said Gorringe and Schade hadn't missed a training session until Christmas. "Schade is a very nice fella, very nice guy and as I've said, thought he might have been our next captain," he said. "Very disappointing to lose (him), we spoke and he was going to sit down and catch up with 'Rocket' but until that happens the club feels that they won't be releasing him." Both were worth the maximum six points under the player points system but their departures will free up 12 points for the Tigers to find replacements. The Tigers have also lost premiership stars Jason Kennedy (East Burwood), John Meesen (Modewarre), Jarrad Wright (Park Orchards), while Simpkin brothers Tom and Jonathan have returned to junior club Colac. Balwyn had signed Chandler medallist Cameron Manuel, 2017 Team of the Year forward Charlie Haley and Glenorchy product Liam Smith.